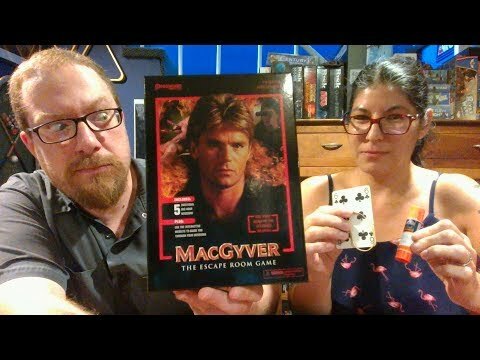 MacGyver: The Escape Room Game társasjáték - Magyarország társasjáték keresője! A társasjáték érték! 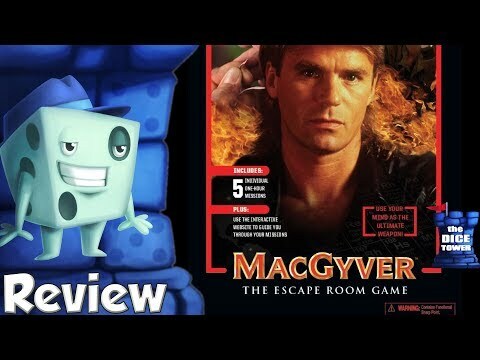 A MacGyver: The Escape Room Game egy remek társasjáték, 1 - 4 játékos részére, az átlagos játékidő rövidebb, csak 1 óra. A társast, 12 éves kortól ajánljuk kipróbálni. Kooperatív jellegű. The website functions as the game’s timer, and is where you enter solutions to the puzzles. It also has a button to get hints. The game will not function without the website, so the game is not playable without an Internet connection. The Underground Lab scenario has six puzzles, each of which must be completed, and correctly entered into the website, to progress to the next. Incorrect answers give a time penalty. The puzzles, unlike some other escape room games, were completely linear, with only one to complete at a time. There are four other scenarios in the box -- Airplane, Factory, Missile Silo, and Grand Finale -- and they have to be played in order. Some of the later scenarios reuse items, but no game pieces needed to be cut, torn, or otherwise damaged.